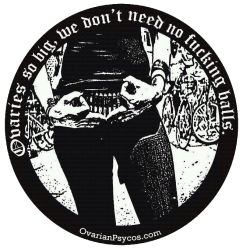 The Ovarian Psycos Present: Be Yo’ Own Dang Valentine Luna Ride! FRIDAY! – O.V.A.S. 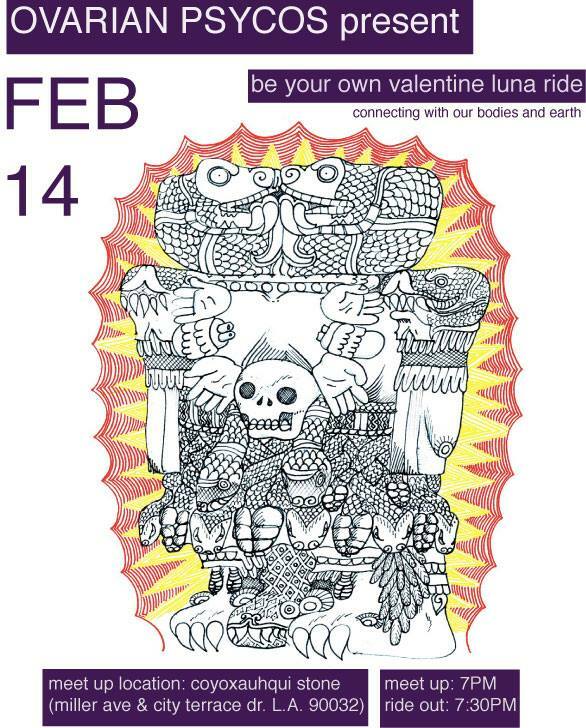 The Ovarian Psycos Present: Be Yo’ Own Dang Valentine Luna Ride! FRIDAY! Like it or not, Valentine’s Day is around the corner. BUT don’t feel pressured to participate in a heteronormative, cheesy, Hallmark Holiday. BE YOUR OWN DAMN VALENTINE!! And join The Ovarian Psycos in some acts of self love! We will be showing ourselves some love by connecting with our spirits, our bodies and the earth in a Radical Uterus Health workshop by Mama Maiz Doula & Herbal Services!! This workshop presents a sacred moment for you to connect with your body and to Coatlicue (our mother earth). The earth gives us life, in the air we breathe, the food we eat, the water we drink, and the medicine we take. It is essential when taking from the earth we do it only with respect and always give something back. That could be in the seeds we plant or the water we give to nourish the earth, also creating a relationship with the plants they will soon enough begin to communicate what they need. We come from the earth and keeping a connection is essential in creating a healthy way of living, physically and spiritually. I will inform you on 3 herbs that can nourish your body. My intention is to inspire the idea of bringing herbs back into our daily routine while taking a moment to connect with our bodies using herbal medicine as our ancestors did. These 3 herbs focus on our center energy as womyn and we will take this moment to share our stories in a safe & sacred space. We will discuss any concerns or ask any questions we might have regarding our wombs along with other healing exercises. I hope with sharing my knowledge you will then feel empowered and create a better relationship with yourself and the earth. PLEASE NOTE: THIS RIDE IS FOR WOMYN, WOMYN IDENTIFIED, QUEER, TWO-SPIRITED, TRANS, GENDER NON CONFORMING INDIVIDUALS!!!!! Previous PostPrevious CANTO EL GALLO IN EAST LA! The Ovarian Psycos have a NEW space!!! 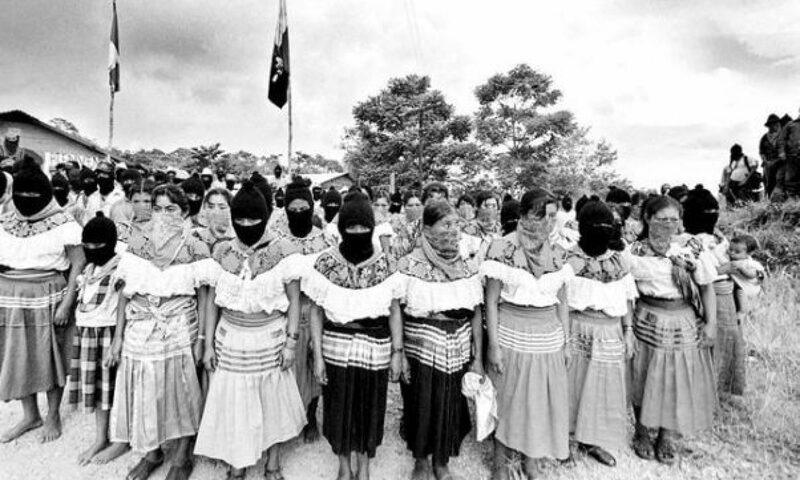 Next PostNext Ovarian Psycos Present: March Full Moon Ride & Circle with Mujeres De Maiz!